Remove the right rear compartment side trim panel. Refer to Rear Compartment Side Trim Replacement - Right Side. Disconnect the electrical wiring harness connector from the fuel pump control module. Turn the ignition OFF when installing or removing the control module connectors and disconnecting or reconnecting the power to the control module (battery cable, powertrain control module (PCM)/engine control module (ECM)/transaxle control module (TCM) pigtail, control module fuse, jumper cables, etc.) in order to prevent internal control module damage. Control module damage may result when the metal case contacts battery voltage. DO NOT contact the control module metal case with battery voltage when servicing a control module, using battery booster cables, or when charging the vehicle battery. In order to prevent any possible electrostatic discharge damage to the control module, do no touch the connector pins or the soldered components on the circuit board. Remove any debris from around the control module connector surfaces before servicing the control module. Inspect the control module connector gaskets when diagnosing or replacing the control module. Ensure that the gaskets are installed correctly. The gaskets prevent contaminant intrusion into the control module. The replacement control module must be programmed. Remove the fuel pump control module from the module bracket. 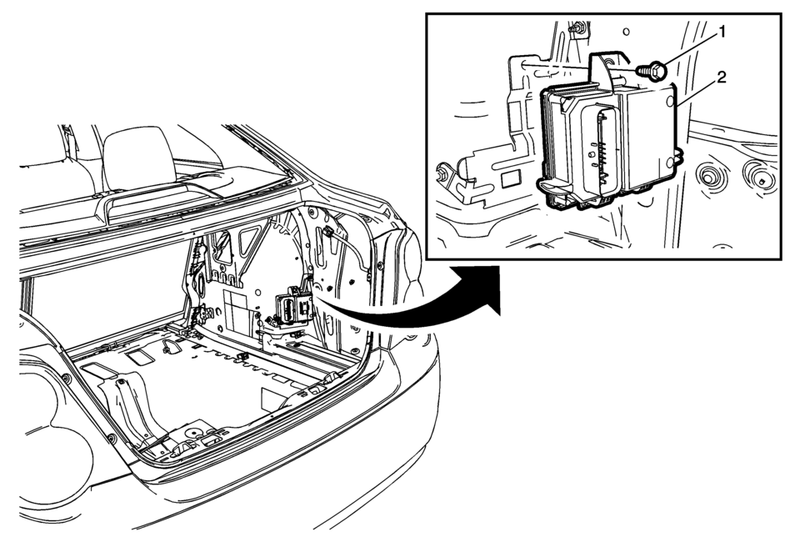 If replacing the fuel pump control module, refer to Control Module References for programming and setup.